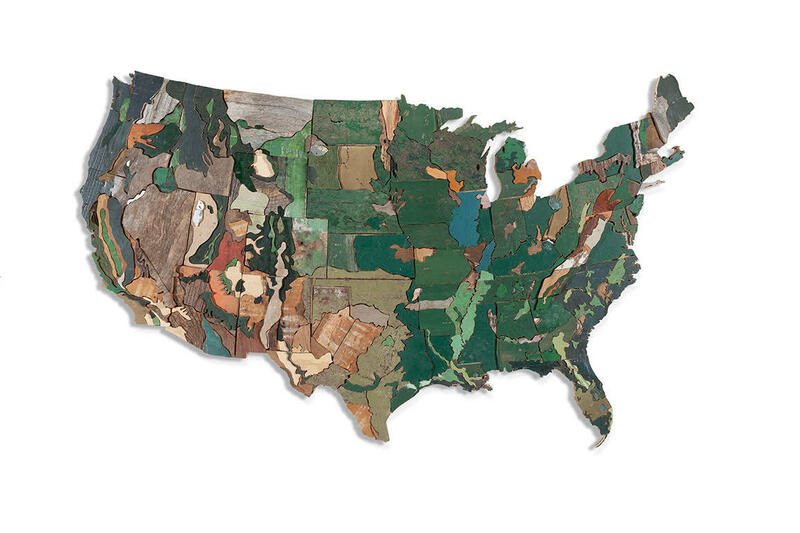 Diederick Kraaijeveld (featured) last year finished one of his most comprehensive projects – recreating a map of the USA from wood salvaged from each of the 50 states. 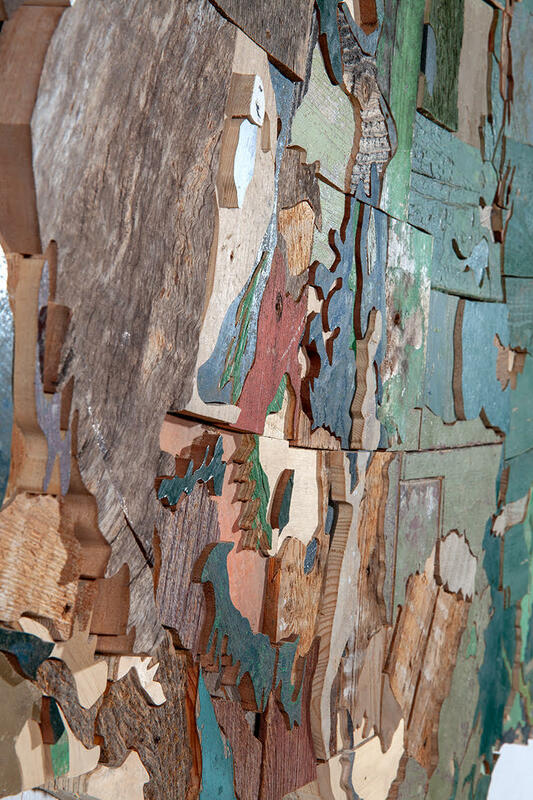 What started as a personal concept during artist’s frequent visits to the country, extended to a global call to his friends, colleagues, and collectors, to help collect wood from all the US states as well as with passing along their stories. 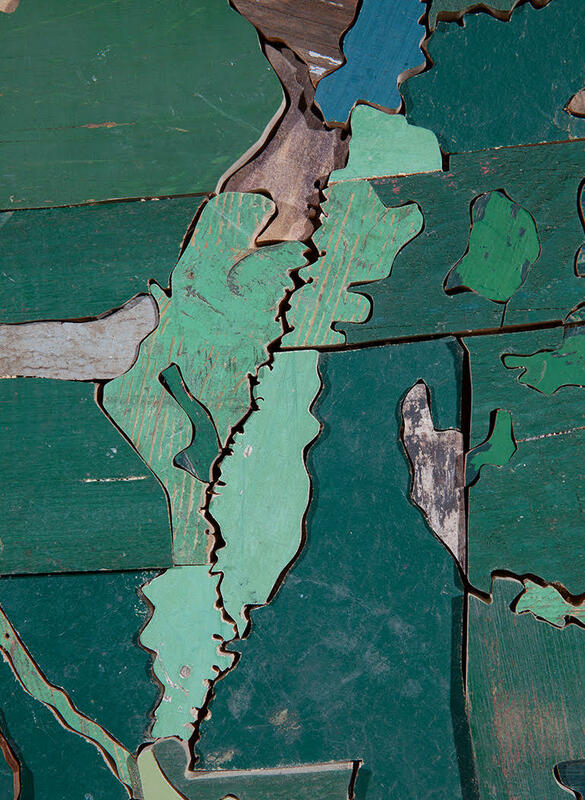 Known for realistic figurative work constructed from carefully cut and assembled wood pieces, the Dutch artist has already created portraits of celebrities and important persons, iconic objects and brands, as well as a scale-precise map of Manhattan. 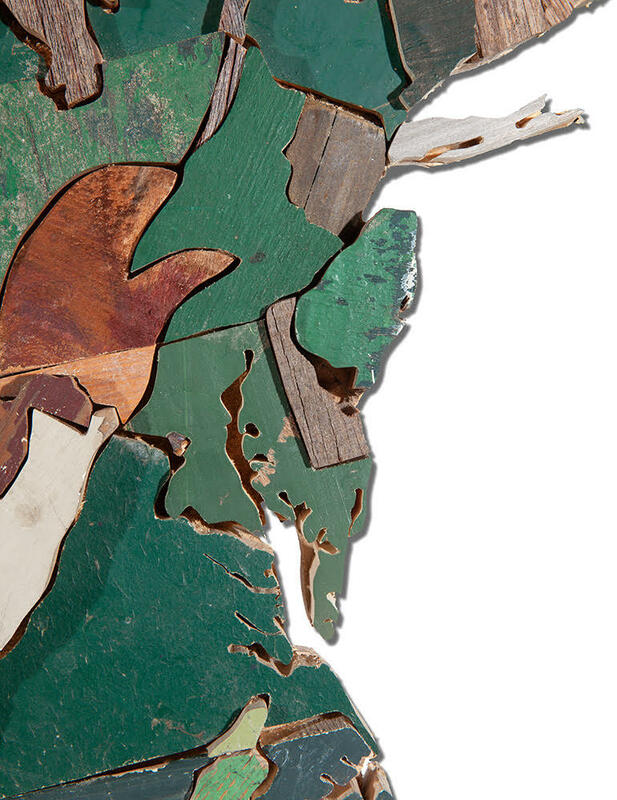 USA in wood from all 50 states is arguably his stand out work to date with pieces of wood from the garden of the White House, from the Memphis bar the Rolling Stones sing about, from the backyard of Graceland, but also from the prison where Billy the Kid was held, and an old brothel in Arkansas. 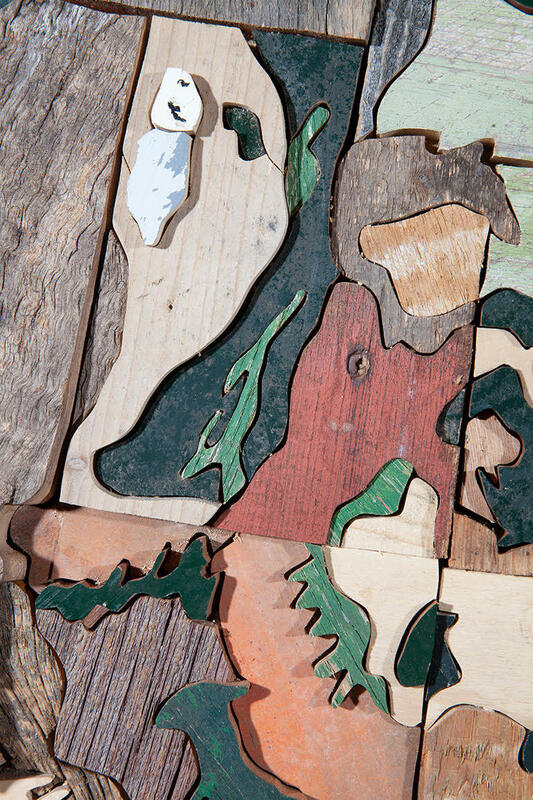 With every single part of wood carries a personal story, which artist documented as a follow up to the piece. 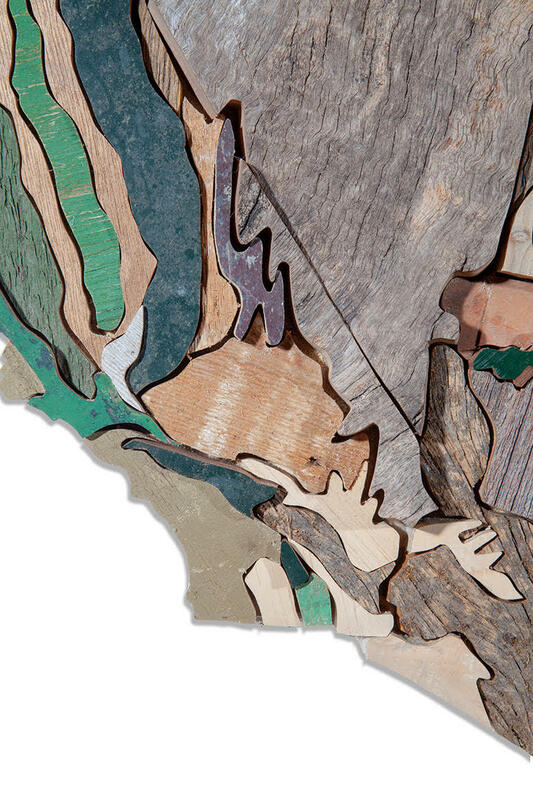 Kraaijeveld has constructed a semi-sculptural piece that subtly captures all the different aspects of US history. 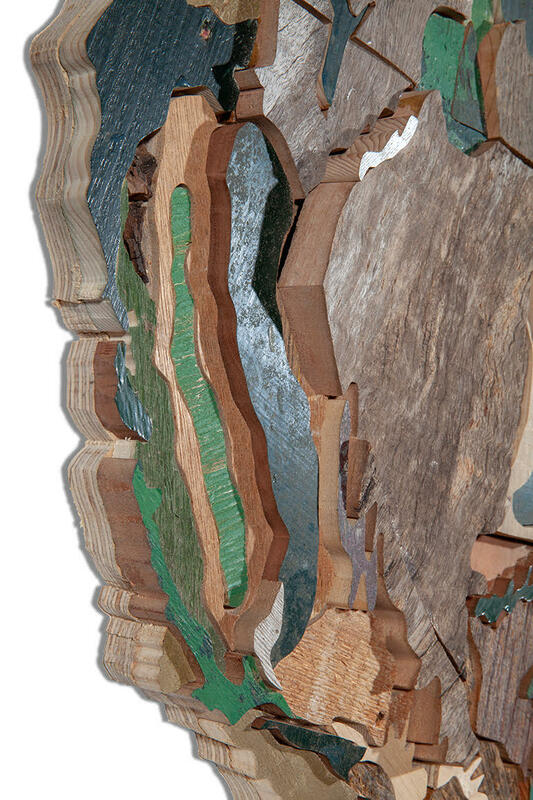 Categories: Contemporary Art, Sculpture. Tags: Contemporary Art, Diederick Kraaijeveld, Sculpture.